With TraceableLIVE™, stay connected to the lab with a smartphone, tablet, or personal computer. 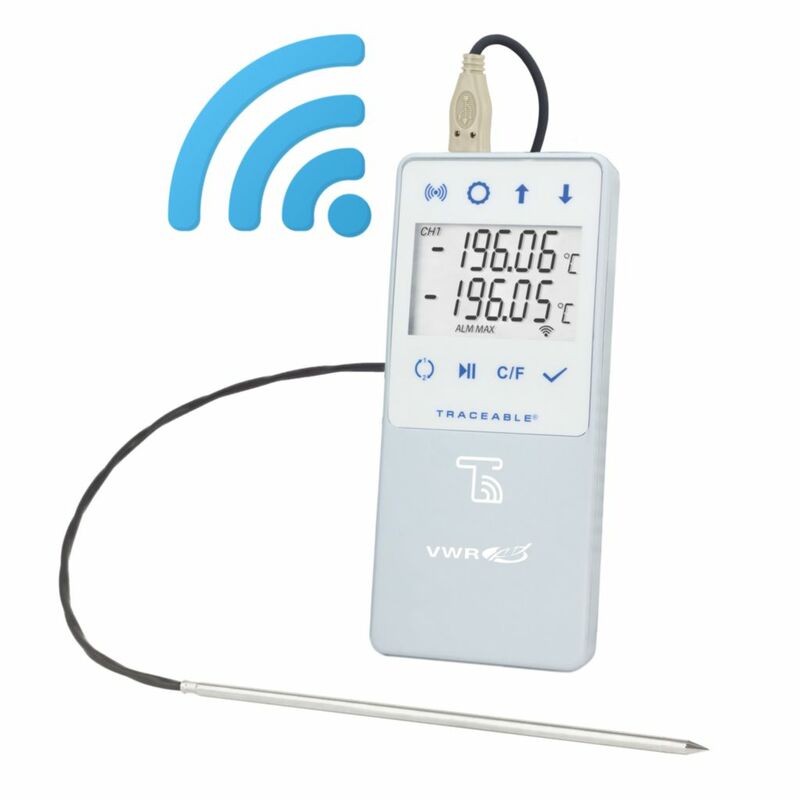 By simply using the TraceableLIVE™ app, or visiting Traceablelive.com on any browser, users can view current humidity and temperatures, control alarm parameters, view datalogging history, and view and generate reports. Also, give other team members access to any TraceableLIVE™ equipment, at any time through TraceableLIVE™. Requires TraceableLIVE™ subscription with basic service starting at $8.99/month per device. VWR® TraceableLIVE™ is the simple, efficient, and reliable way to stay connected to critical environments, wherever you go. Certifications: CE marked. RoHS compliant. Traceable to NIST for accuracy. Multi-point calibration on an individually-numbered Traceable® Certificate which assures accuracy from an ISO/IEC 17025:2005 (1750.01) calibration laboratory accredited by A2LA. It indicates traceability of measurements to the SI units through NIST or other recognized national measurement institutes (NMI) that are signatories to the CIPM Mutual Recognition Agreement. 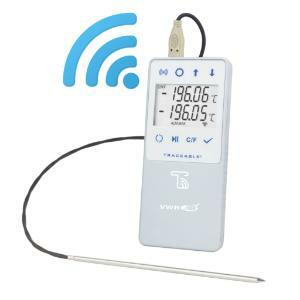 Ordering information: Units are supplied with probe, Quick Start Guide, batteries, wall mount, Velcro®, magnetic strips, and an ISO 17025 Traceable® Certificate.